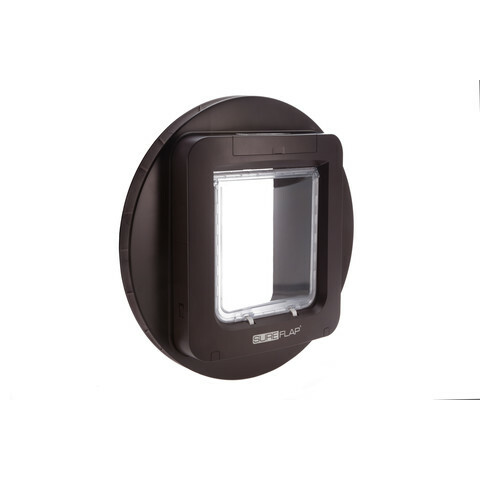 The SureFlap Mounting Adaptor is used to install the SureFlap Microchip Cat Flap Large in glass windows and doors to cover the gaps left by a circular hole. It can also be useful in door installations if the hole left by a previous cat flap was slightly larger, or in wall installations to avoid the need to drill into the cat flap. The mounting adaptor can cover holes between 294mm and 320mm in diameter. Mounting adaptors are sold in pairs, one for the exterior of the installation and another for the interior.